Many photographers opine that Canon is the best DSLR manufacturer of the world, and they have their own reasons for claiming so. They have a lot of great camera models and one of the most popular ones are the Canon EOS-1DX and the EOS 6D. Both of these cameras are famous and popular for their unique features. Let’s check out the main differences between these two great camera models. The EOS-1DX features comparatively more focus points than the EOS 6D. The shooting at highest resolution with auto focus is also higher than 6D in the 1DX. The video autofocus in the 1DX is 14fps compared to the 7 fps in the 6D. 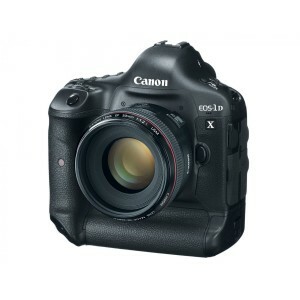 Canon EOS-1DX is waterproof and dustproof. The maximum light sensitivity is lower standing at 51200 vs 102400 ISO in the 6D. The EOS-1DX suffers less shutter lag. It also packs a GPS unit. The screen is a little larger than the screen in the 6D, standing at 3.2 inches compared to the 3 inched display in the 6D. The Canon EOS 6D has a lot more reasons to win over the 1DX. The 6D comes with a higher number of megapixels. Higher the megapixels, the better is the image quality. Sometimes it happens that the photo gets blurred due to shaking or some other causes. In such cases, scaling down the image to a smaller size will improve the image quality. It also comes with a 24p cinema mode. This helps in shooting cinematic videos. The pixel density is also higher than that in the 6D. The weight of 6D is 585 gms lighter than the 1DX. It also comes with a flip-out screen, which is really helpful in taking critical snapshots. The 6D features Wi-Fi, so you can connect the camera to the internet and upload your favorite images. The EOS 6D features stereo microphone too. There’s an HDMI output with the Canon EOS 6D. The shutter speed is manual and touch autofocus is available. The screen is touch sensitive. The body volume of the 6D is very smaller than the 1DX. The lens is branded, unlike the low-cost unbranded lenses in the 1DX. Although the price tag between the two differs, they have their own unique features making them special to different classes of users. Depending on your needs, you can choose either of the two and regret neither later! 1DX offers faster shooting at the highest resolution than the 6D. 1DX is dustproof and water resistant, but the 6D is not. The shutter lag is lesser in the 1DX than the 6D. 1DX comes with a GPS, but the 6D does not. 6D has higher megapixels than the 1DX. The pixel density in 6D is higher than that of the 1DX. 6D offers 24p cinema mode and HDMI output, but the 1DX does not. 6D is more compact and weighs less than the 1DX. 6D offers built-in HDR mode, but the Canon EOS-1DX does not. 6D comes with a flip out screen, but the 1DX does not. Canon EOS 6D offers Wi-Fi support, but the 1DX does not. ishraq. "Difference between Canon EOS-1DX and EOS 6D." DifferenceBetween.net. March 25, 2014 < http://www.differencebetween.net/object/gadgets-object/difference-between-canon-eos-1dx-and-eos-6d/ >. 6D comes with GPS support. Please correct. what is this suppose to mean ? also .. you got the mIxed up.. the 1Dx does not have built in GPS.. its the 6D with the GPS Please double check the sources.